Arizona at St. Louis - I was very impressed with the Rams in their nice win over the Seahawks on Sunday. It was far from a flawless performance, but they were tough and strong on defense and showed some real blossoming maturity as a team. They are a work in progress, but I like the direction. Arizona, meanwhile, is very lucky to be undefeated. They capitalized on Miami’s total inability to close games out. They will have their hands full here. Take the Rams. Miami at Cincinnati - If the Dolphins could play games that were only 50 minutes long they would be a better team. They keep finding ways to throw strong efforts away, though — they aren’t closers. The Bengals are playing above their heads in my eyes, but they have the edge because they are at home. Take the Bengals. Green Bay at Indianapolis - The Packers are a troubled team. They aren’t fatally broken or anything, but something just isn’t quite right, and they got very lucky to win on Sunday. Thankfully, they face a much easier test here. Andrew Luck is the real deal, but he doesn’t yet have the depth around him to match up to even a troubled Green Bay team. Take the Packers. Baltimore at Kansas City - The Chiefs should be a better team than they are based on the talent they have, but at this point in the season they are a major letdown. The Ravens, meanwhile, are a strong and well-rounded team right now. This is not a good spot for Kansas City to bounce back. Take the Ravens. Cleveland at New York Giants - The Browns are 0-4, and that’s not a misleading record. They are playing tough and getting surprisingly solid QB play, but they have talent shortages that will haunt them. The Giants are the better team on both sides of the ball and will come out on top. Take the Giants. Philadelphia at Pittsburgh - Philadelphia got very lucky to escape with a win at home on Sunday night. Now they go on the road to play a very physical team that is well-rested after a bye week. Pittsburgh is far from perfect, but if they have used the bye week to address their offensive line shortfalls then they will have the edge. Take the Steelers. Atlanta at Washington – The Redskins disappeared for far too long in their game against Tampa Bay, and they awoke just in time to grab victory out of the jaws of defeat. They have promise, but they still have a lot of work to do. Atlanta, meanwhile, has yet to take a misstep this season. It’s not a good bet that they will make their first here. Take the Falcons. Seattle at Carolina - Both these teams have promise and both have exciting quarterbacks, but they are also both incomplete teams at this point. I’d like Seattle more if they were at home, but I still like them here. Their defense is superior, and that will be the difference here. Take the Seahawks. Chicago at Jacksonville - I don’t like much about the Bears, although they did look great on “Monday Night Football”. The problem is, though, that Jacksonville is just lousy right now. They failed to show up at home against the Bengals, and I can’t trust them to show up here, either. Take the Bears. Tennessee at Minnesota - The Vikings are a very unlikely 3-1 team. They are also a deceptive one. Their win over the Lions was fueled by two returned kicks for touchdowns. Without those it was a pretty underwhelming offensive performance despite a nice running day for Adrian Peterson. Still, it was a win and it was on the road. Now they return home to face a team that hasn’t found its stride and which has uncertainty at QB. Take the Vikings. Denver at New England - Peyton Manning played by far the best game of his Denver career, though that is tempered somewhat by the fact that he was playing against the Raiders and they are just terrible right now. New England, meanwhile, was as good in the second half of its win over Buffalo as it has been in years. New England in form will have its way with Manning and company. Take the Patriots. Buffalo at San Francisco – The Bills’ confidence is going to be badly shaken by their second half against the Patriots. San Francisco, meanwhile, feels fully back in form after their mystifying loss to the Vikings. The Niner defense will drive Ryan Fitzpatrick and company crazy, and that will be the difference. Take the Niners. 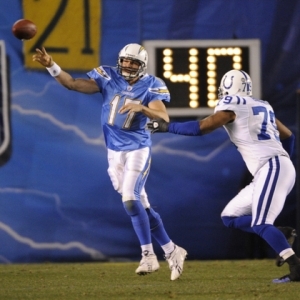 San Diego at New Orleans - The Chargers are hopelessly inconsistent. The Saints are hopelessly flawed. Something has to give. If San Diego had played at home last week I would lean towards them. They are coming off a tough road game, though, and their lack of toughness will make this spot tough for them. New Orleans will finally win one. Take the Saints. Houston at New York Jets - Let’s review. The Texans have been the best team in the league through their first four games. They are dangerous on both sides of the ball. The Jets, Meanwhile, just lost 34-0, and that score was probably flattering given how poorly they played. If you are thinking about this one at all you are over thinking it. Take the Texans.